Chinese Journalist: Bo Xilai Had History Of Bribes A former journalist with state-run media says fallen politician Bo Xilai bribed the children of high officials with real estate to secure promotions, while his wife was "raking in money" in exchange for favors. Now the two are embroiled in a scandal that threatens the stability of the entire nation. China is gripped by a tale of murder, betrayal, flight and intrigue that threatens the stability of the entire nation. At its heart is the death of a 41-year-old British businessman in a hotel room in the city of Chongqing last fall. The scandal has brought down a high-flying Chinese politician, Chongqing's party secretary Bo Xilai, and his wife, with China's state-run media hinting at their corruption and abuse of power. The death of an Englishman overseas has rarely had such fallout. In the British Parliament on Tuesday, Foreign Secretary William Hague referred to Neil Heywood's death, saying, "We are pursuing this extremely carefully, but vigorously." To make sure he got promotions, Bo Xilai used all his powers as Dalian mayor to bribe other princelings. The U.S. also has been drawn in. The scandal first broke when Bo's former police chief, Wang Lijun, sought asylum at an American consulate in Chengdu, about 100 miles away from Chongqing, in early February. Hague confirmed Tuesday that Wang was bearing details about Heywood's suspicious death in November. Wang was refused asylum, and is now in Chinese custody. Then last week, Beijing made a stunning official announcement on state-run television. Heywood, it said, had been murdered, and the prime suspect was the woman dubbed China's Jackie Kennedy: Gu Kailai, Bo's wife. She had been close with Heywood, but "they had conflict over economic interests, which had been intensified," according to the official statement. Gu is being held by the judicial authorities under suspicion of murder. So who was Neil Heywood? He had moved to China more than a decade ago, initially living in the northern city of Dalian at a time when Bo was mayor. Heywood had done some work for Hakluyt, a private British information company. He also forged ties with the Bo family, helping organize the education of Bo's son, Bo Guagua, who studied at the exclusive British boarding schools Papplewick and Harrow. Kerry Brown, a China expert at the London think tank Chatham House, says he met Heywood several times over a decade. 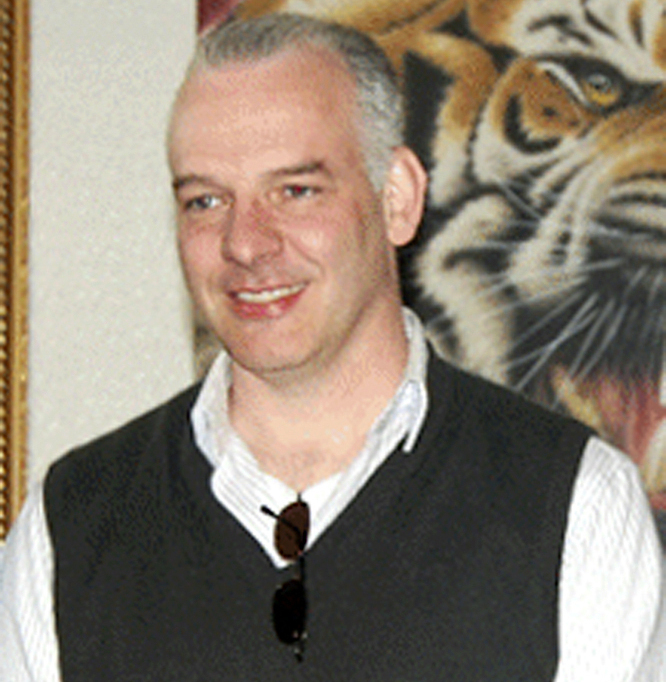 British businessman Neil Heywood, seen in April 2011, was found dead in a hotel room in the Chinese city of Chongqing in November. An official announcement last week said Gu Kailai, the wife of Bo Xilai, is suspected of murder. "I think he did refer to Bo Xilai, but not I think in detail," says Brown, who sees Heywood as a kind of consultant who was effectively selling access to the Bo family. "He was working on very specific networks. He kept his business to himself, and I suppose it's become clear as this story has grown and grown how few people did know much about what he was doing." Heywood was murdered for threatening to expose plans to transfer money overseas, according to a leak from the official Chinese investigation reported by Reuters. Lurid rumors of cyanide and poisoned drinks have been flying around China's Internet. But none of it — even the most sensational allegations — comes as a surprise to Chinese journalist Jiang Weiping. He worked for the state-run media in Hong Kong, but spent five years in prison and another three effectively under house arrest after using a pseudonym to report on the Bo family's corruption. He now lives in Canada. In a telephone interview with NPR, Jiang described how Bo and his wife operated back in the late 1980s. Bo was running Dalian's propaganda office, which oversaw cultural affairs. His wife, who is also a lawyer, started the Folk Customs Culture Research Institute. Jiang says Bo used real estate to buy support from the children of high officials, known as princelings. "To make sure he got promotions, Bo Xilai used all his powers as Dalian mayor to bribe other princelings," Jiang says. "He gave them land deals, financial projects and overseas trade opportunities to build connections, so they would help him get promoted and get rich." Indeed, there is even a reference to how Bo's supporters were "coordinating his real estate interests" in a leaked U.S. diplomatic cable dating from 2009. The cable describes how people close to Bo "control several major real estate developments in Dalian." With his leftist vision and high-powered network, Bo became the rock star of Chinese politics, a strong contender for the highest leadership body. And China's press is emphasizing that his spectacular downfall has not touched off any political turmoil. 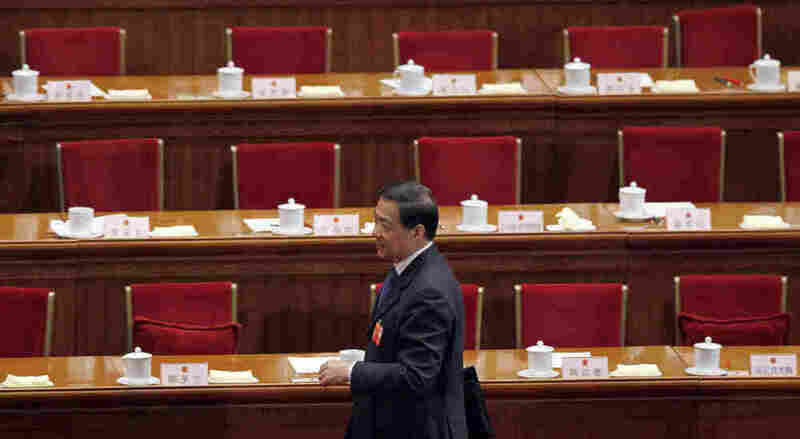 "It does not indicate a political struggle within the party," reads an editorial published Wednesday in the China Daily. The government has firmly denied any coup attempt, arresting six people for spreading such rumors. Bo is currently under investigation for "serious disciplinary offenses," and there has been speculation that he could be facing the death penalty. Yet any attempt to unravel his web of corruption is likely to implicate many others in the Communist hierarchy. Jiang predicts more details of Bo's fast-living lifestyle will emerge, including his philandering. "I think it's an extremely conservative guess to say he had 100 mistresses. He was very powerful. He had girlfriends himself, and he also used women as a commodity to give to other officials." The real problem is that Bo is a product of China's political system. The son of a Communist hero, he used his revolutionary bloodline to accrue untold wealth and privileges. The case opens a window on a princeling oligarchy as far away from true Communism as can be imagined. The very legitimacy of China's Communist Party could be at stake. Optimists hope the scandal will lead to political reform. The alternative, they say, is unthinkable. This updates the earlier online version of the story to clarify that the firm Hakluyt is a private British information company.